White gold is currently the most popular ring metal for diamond engagement rings and is also considerably cheaper than platinum. It is even more popular than yellow gold! This might have to do with the fact that white gold is a little bit more durable than yellow gold and also is better suited for white diamonds according to many opinions. In this post I want to show you which diamond color I consider to be best suited for white gold. Of course, my main focus will be on showing you the diamond color that also gives you the best value for your money! 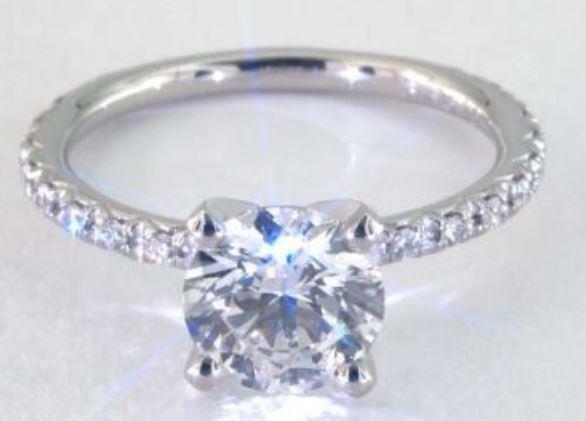 The best Color for Round Cut Diamonds on White Gold Rings? 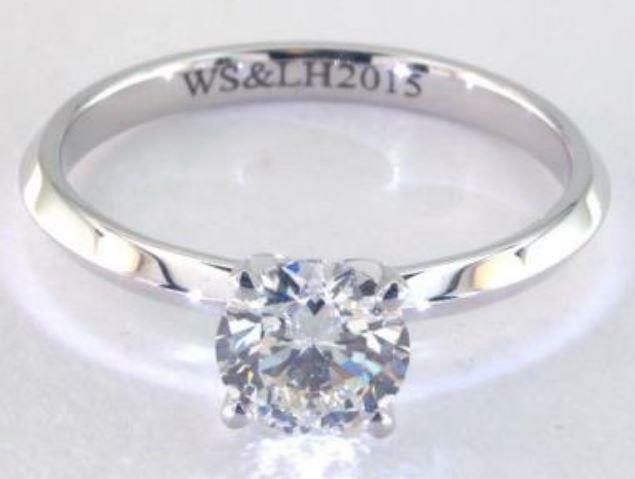 I think that for all round cut diamonds the H – J color range will provide the best value for your money! 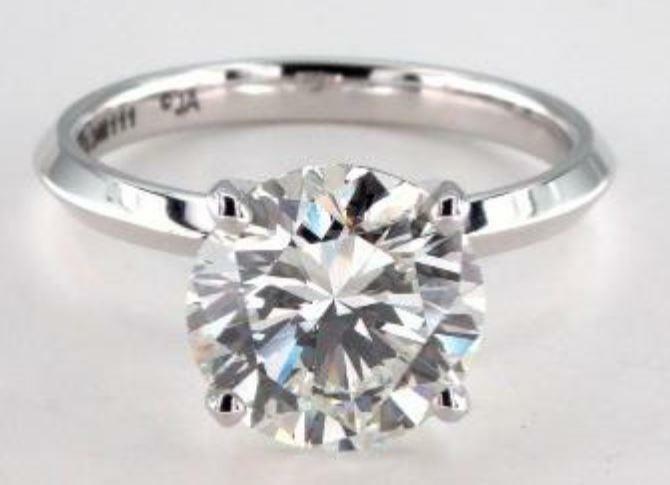 Actually the G color is the most popular color for round cut diamonds. But there is absolutely no need to go that high! In my opinion anything better than an H color is just a waste of money. If you click on any of these pictures you will be able to view the diamond ring from all sides and angles. The diamond on the left picture even has 2.50 carat in weight and it still looks perfectly icy white! 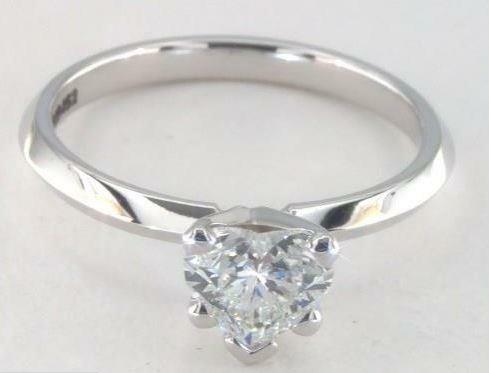 Usually with larger diamonds it is advisable to go higher in diamond color. 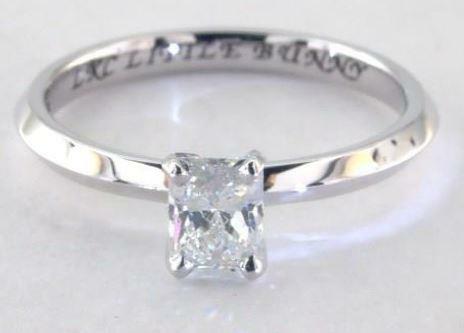 But not even that is necessary with an H colored diamond. 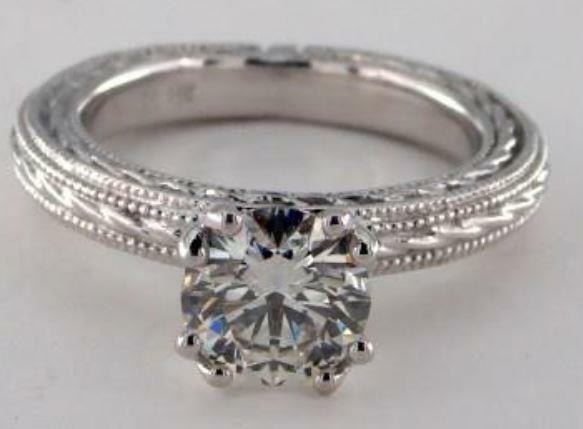 It will look perfectly icy white on a white gold ring setting no matter what! The main takeaway I want you to remember is that it will never be necessary to choose a diamond color higher than H for round cut diamonds. So, let's have a closer look at J colored diamonds then. 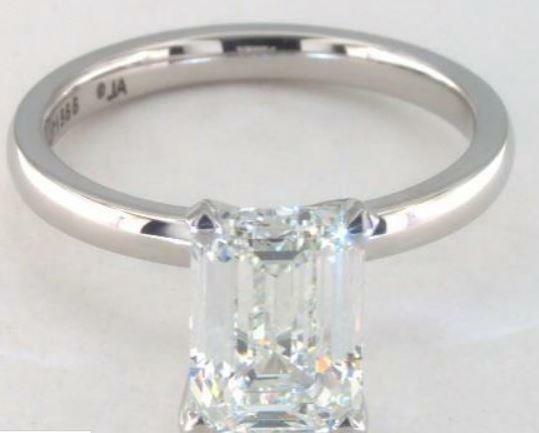 If I can make you see that J colored diamonds still look good on a white gold ring setting there will be no doubt that the same also has to apply to I-colored diamonds. If you take the effort to examine both diamonds you will see that there is not any issue even with J colored diamonds on white gold. They diamonds do not make any bad impression or something. Now, I really do not recommend to go as low as the K color as this is something that I would only advise for yellow gold rings. 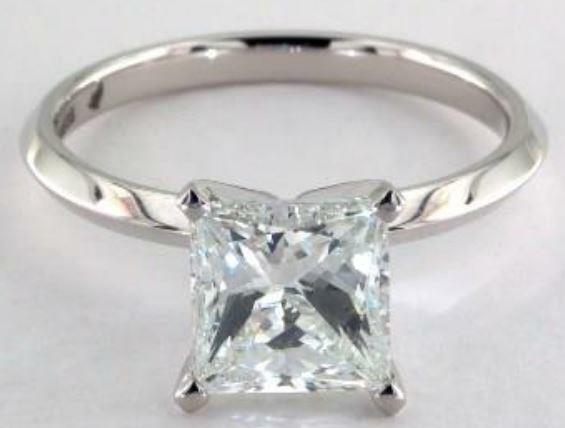 But a J color will be okay for round cut diamonds. Thus, if you really want to get the biggest bang for your buck I recommend to go for J colored diamonds. 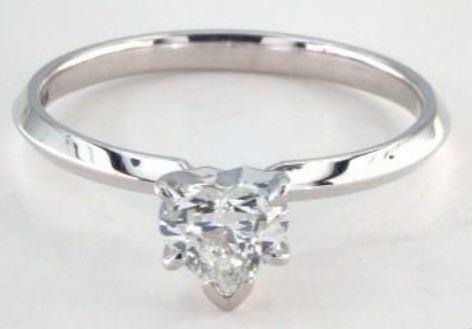 As usual you should make sure that the cut is Excellent and the diamond does not contain any visible inclusions. 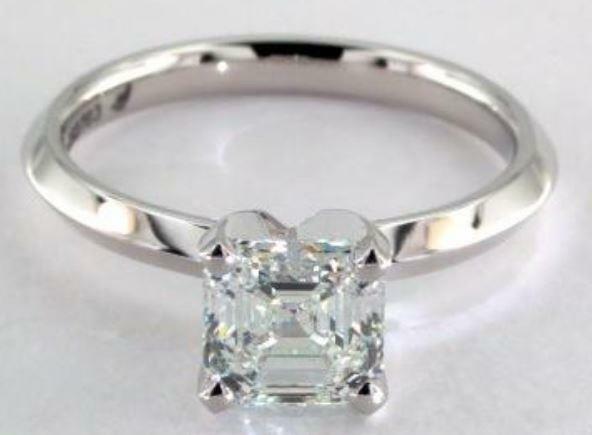 Now, for Princess cut diamonds, Emerald cut diamonds and Asscher cut diamonds I actually recommend to go for the G – I color range. The reason why you should go up one color grade compared to round cut diamonds is simply the fact that these diamond shapes have a higher tendency to show off their body color! As you can see all three diamond shapes with the I color look very appealing when set onto a white gold ring. 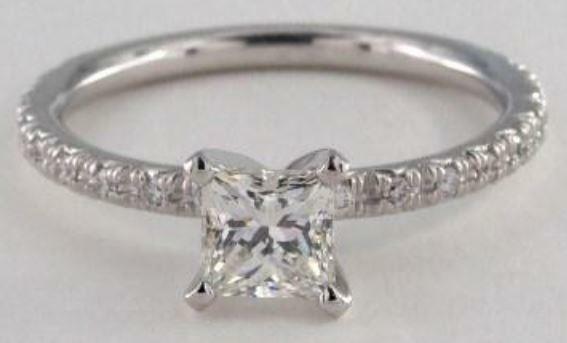 And this even despite the fact that the princess cut diamond and the emerald cut diamond are above 2ct in size! 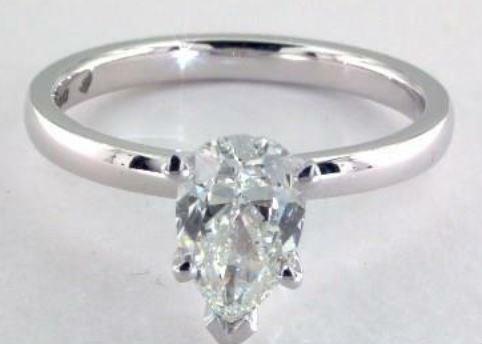 Choosing even better diamond colors is therefore not really necessary if you just want to get the best value. Both diamonds look really good and I do not really think that it is necessary to go for a G colored princess cut diamond. An H color or I color will do just as good! It looks really great but as I have said: A slightly lower colored diamond would have done just as well! Now, as far as all the other diamond shapes are concerned I think that any diamond color in the F – H range will do. By all other diamond shapes I am actually referring to shapes such as radiant cut, oval cut, cushion cut, marquise cut, pear shaped and heart shaped diamonds. These diamond shapes are the most prone to showing off their body color. This is why we need to go up another color grade. In my opinion there is not much bad to say about any of these H-colored diamonds. 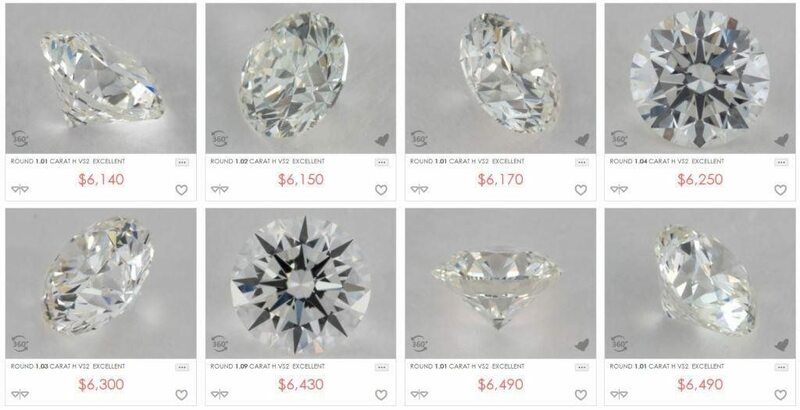 If you click on any of these diamonds and view them from all sides you will see that each diamond looks as icy as a white diamond should. Thus, if it were me I would never go higher than an H color. If you look very closely at both diamonds from all sides you might see a tiny difference between the F color and the H color. In general however, you will be pretty safe with an H color anyway! 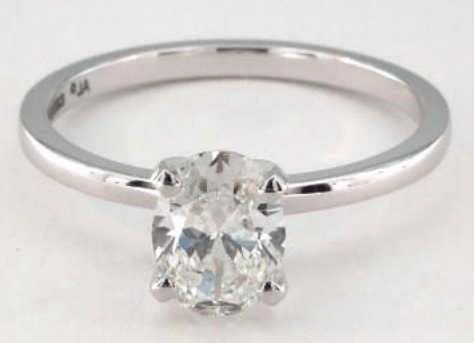 How to choose the right diamond for a white gold ring? If you apply all the above mentioned principles in terms of the diamond color you can be pretty sure to make a decent deal! Of course you also want to make sure that all the other characteristics are in place. 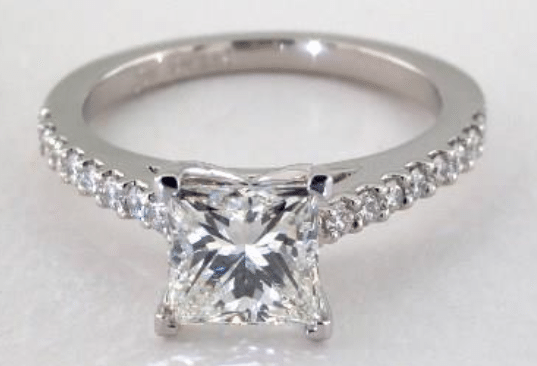 Thus, I do not recommend to overpay on diamond clarity and make sure that the diamond has an excellent light performance. In order to do so you will have to make sure to have the knowledge and to buy at the right place. I also think that James Allen actually has a great choice of white gold ring settings. Last time I checked there were more than 400 white gold rings settings available. 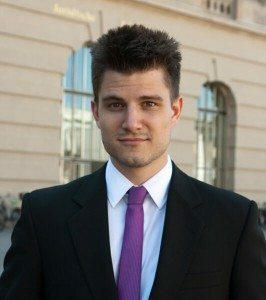 What I really like is that James Allen also takes 360° videos of all the rings they are selling. This includes the diamond of course. 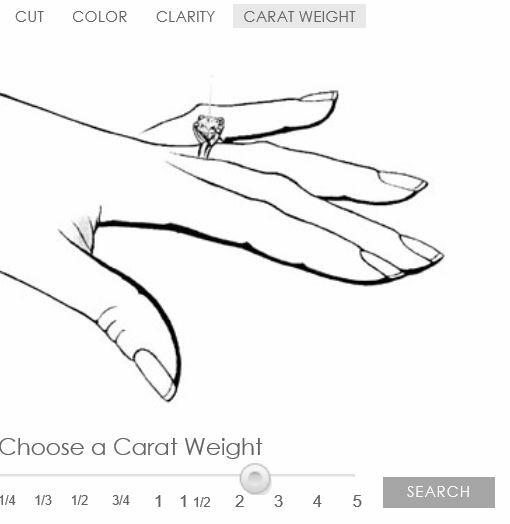 This way you will be able to know exactly what an H colored pear shaped diamond looks like on a particular white gold ring setting and you won't have to guess. Click here to browse through the entire selection of white gold rings. Make sure that the ring setting you want to choose not only looks great on its own but also with the diamond shape that you intend to set on it. Of course, I am well aware that you might have some other questions when it comes to white gold diamond rings. Just leave me a comment or drop me a mail! I will be quick to get back!